Thousands of homeowners are bombarded yearly with termite infestations, and often left wondering how to eliminate the pests before severe structural damage or termite infestations completely take hold of their homes. When termites begin infesting your home, they organize themselves into colonies–similar to bee and ant hives. As a result, you must locate the termite colony to resolve the infestation. There are different classifications within the colony: the king, queen, soldiers, workers, and termites strictly for reproducing. This makes locating the colony more difficult because groups of termites leave the colony, making it possible for a secondary colony to be developed if the original is destroyed. Chemical barriers or ground poisons, which act as termite repellents, work by destroying or repelling termites before they are able to reach your home, or upon exiting the structure when they cross the chemical barrier. These cause termites to cease from feeding and socializing–which means a reduction in reproduction. However, this form is generally recommended for spot treatments. So, try using this method for spot treatments once you have successfully completed fumigation or used an exterminator’s services. 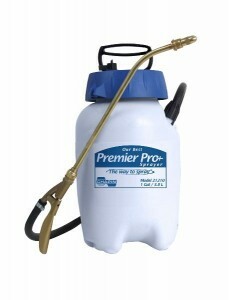 Chemical barriers and ground poisons can be found at home improvement stores and are generally affordable and low cost. Also, tenting or fumigation of your home has proven to be extremely effective in eradicating termites, however, is very costly. 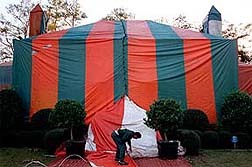 During tenting or fumigation, a giant tent literally is placed over your home, and around as much of the surrounding property as possible, and the property is fumigated in order to destroy every trail and termite possible. 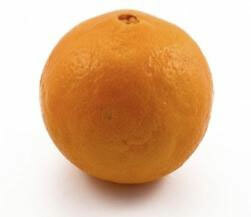 This method has great results, however, again, is also very costly for the average homeowner. If this option appeals to you, try calling around to several different exterminators because the cost will widely vary depending on the area and the particular company providing the services. Another method for termite treatment are termite stakes and baits, which work similarly to chemical barriers and you can apply them yourself. These can also be purchased at a relatively low cost at your local home improvement store. When using the bait, the termites are attracted to it and eat it, or take it back to the colony to spread the poison from within, which destroys colonies from the inside out. The stakes are used by inserting them into the ground so foraging termites under the soil will be eradicated as well. This method is not recommended as the only source of treatment for your termite infestation, but is extremely useful in combination with other methods or as a touch up treatment to prevent a new colony from forming. 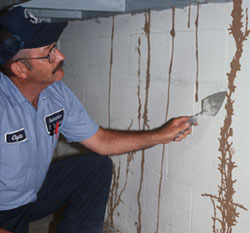 There are many different methods used for treating and destroying termite infestations within your home. It is also important to read and follow all directions on any products you purchase or to discuss with your exterminator the dangers, if any, involved in the removal of the insects in order to ensure the safety of your family and pets.